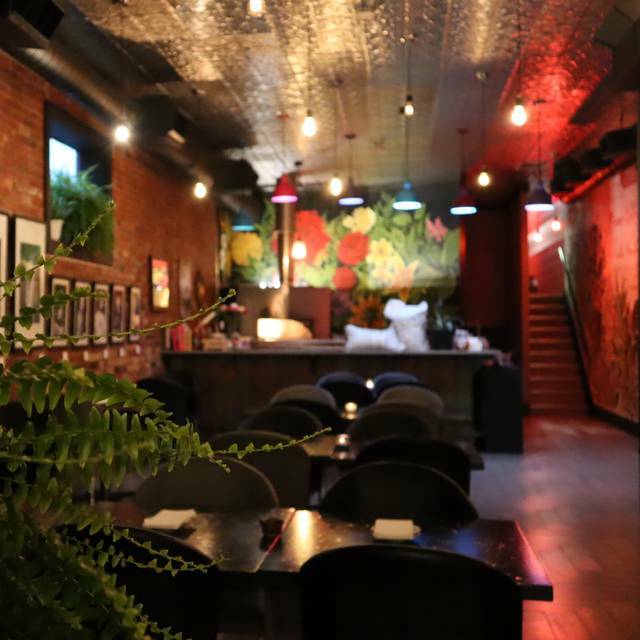 Located in the heart of downtown Hamilton, Marina and Shaolin offer a unique dining experience influenced by Mexican and Asian cuisine. Seasonally inspired menus created by Chefs Vittorio Colacitti, Sebastian Sanchez and Johnny Segundo celebrate local farmers and culinary roots. A James Street experience, brought to you by the team behind Born and Raised Restaurant, Hamilton. My husband and I went for my Birthday Dinner on Saturday. We were greeted by friendly staff and a shot of tequila to start the celebration off right! =) The service was great & the food was delicious. I absolutely love the atmosphere and vibe of this place. Great bar selection too! Do not hesitate to check this gem out. Whatever you order will be amazing but don't forget to get the tortillas! They are made from scratch and the best tortillas we've ever had! Thank You Marnia for a great Birthday! We will be back again soon. Great restaurant! Service was excellent. Food portions are decent. Unique flavours. Some dishes more salty than others. Noise a bit loud. But overall great experience! Unbelievable restaurant, the service was perfect! Wish I could remember his name. Food was delicious and atmosphere flawless. I have wanted to try the brussel sprouts again. They were even better than I recall. My steak was awesome, but too much mushy stuff with it. I am told the ribs were amazing and the gambas...superb. I was at Marina with a friend for a 6 pm reservation. It was apparently a very quite night as only a couple of other tables were filled. The service was a little slow when we arrived. The first server was replaced by a second one who was more attentive. The menu is interesting, but hard to decode. The first server indicated that everything on the menu could be put into a tortilla which they make in house. We order based on this advice, but realized the logic did not totally follow. 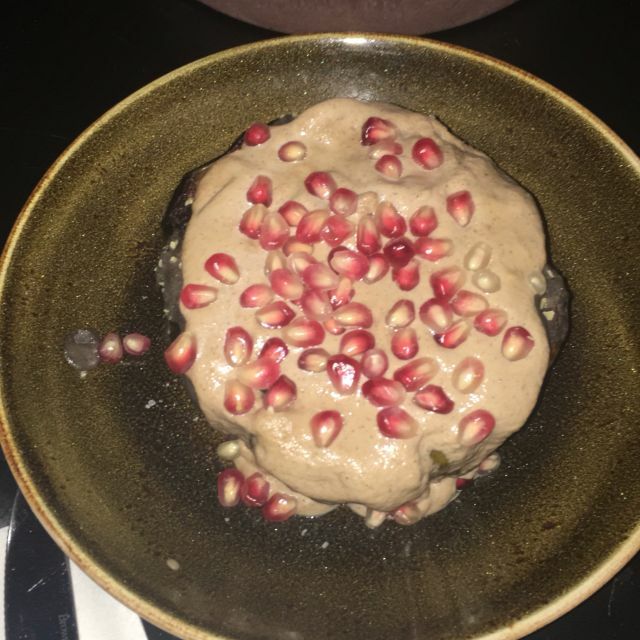 The cauliflower dish was amazing and worked well on the tortillas. We also order the short ribs which were served on rice. The short ribs were good, but the bones and the rice did not lend themselves to tortillas. 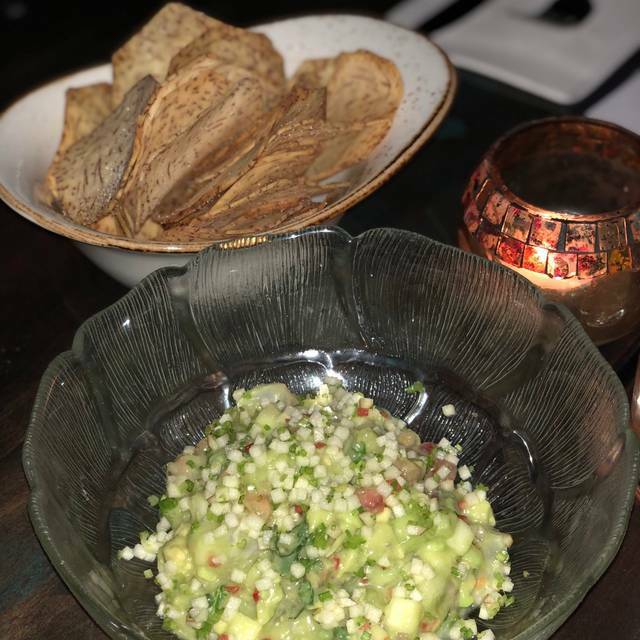 We also ordered the ceviche which was tasty, but had a fairly high proportion of avacado, so it tasted more like quacamole. I will probably go back and give it a second try. We had a mixed grill special which was average. All of the on-menu items were spectacular, even the vegetables. pleasant environment. I’d recommend to anyone. Order a cocktail! Marina has great vegan options, a nice variety of seafood, and delicious made-to-order tortillas. 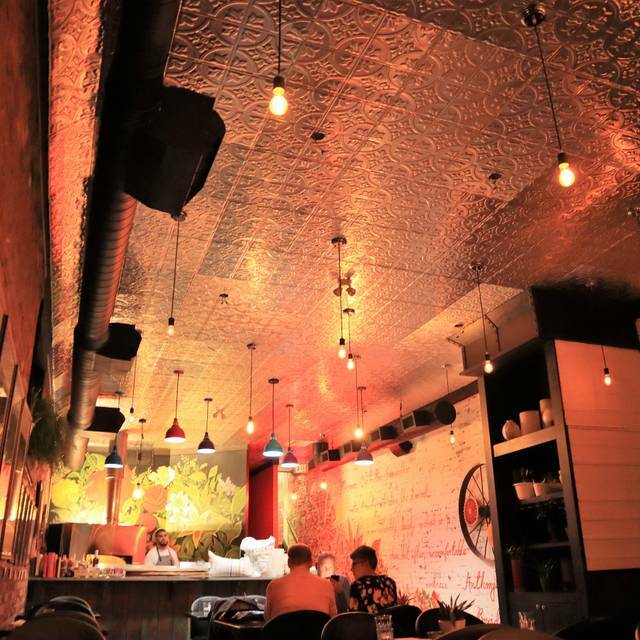 The atmosphere is trendy, without feeling obnoxious, and the music's sound-level is low enough that you can easily have a nice conversation over dinner. Wonderful experience once again! Love the food, especially the Brussels. The octopus feature was incredible. Service was fantastic as well. Great food and atmosphere. Brussels were amazing. So were the tequila cocktails! Great restaurant with a very unique menu that is awesome! Highly recommend this restaurant to anyone. Booked a reservation for a Friday evening for a group of six. Unfortunately the service was ready disappointing. We waited for over an hour for the food and when it came each dish was brought out 15 mins apart so we ate separately. Asked for an extra plate and water and the waiter forgot. Great place! Awesome food and my only wish is I was able to eat it all. The wife and I ordered way too much but managed it as best as we could. Everything we ordered was unique and delicious. Service was excellent as well. Such good food and cocktails and good staff. A really great place to come to eat family style. Would definitely go here again. The food was creative and delicious. 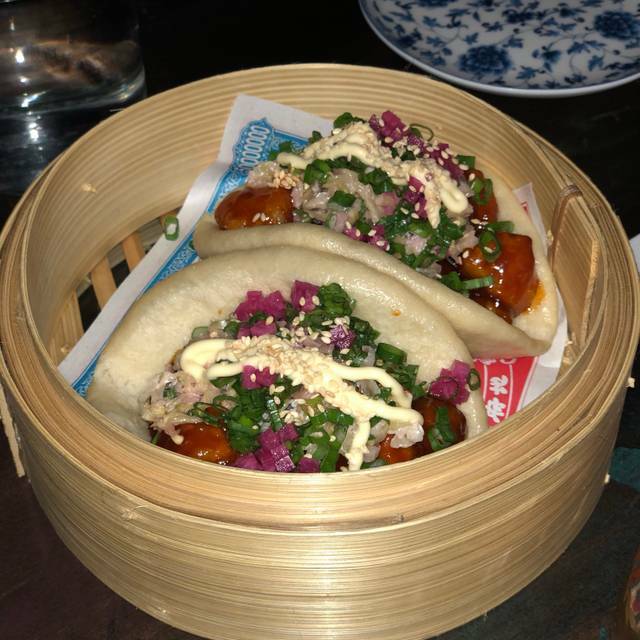 Most options can be made into shareable plates as well as eaten as an entree, so we were able to try lots of things. It had a selection of vegetarian choices and we enjoyed these the most. The server did a great job helping us figure out proper portions for our table. Very limited menu and not much explanation. Had to ask our server to explain almost everything on the menu. Cocktails were great and tasty. Food was mediocre. Both the lobster and steak were over cooked and chewy. The sauces were great and the tortillas but wouldn’t pay for that quality again. Food was fantastic. This is easily one of James streets best restaurants aside from Born and Raised. After dinner we went downstairs and devastated the dance floor. Was nice to see people of many ages having fun, not just 19 year olds. Great evening. Have lived in Hamilton for 2 years now and this was our most enjoyable night out! The place had an amazing vibe. Everything we ordered off the menu was great; although the Brussels sprouts, flatiron steak and red Thai curry were particular standouts. The rotating Fairweather tap was also a big plus for beer lovers such as myself. A must-try in Hamilton for elevated Mexican/Asian cuisine. Amazing place! The food is incredible, the decor is absolutely beautiful. One of my favourite places to go in Hamilton! My favourites: brussel sprouts, guacamole dip, cauliflower, red thai curry- A must try! Completely enjoyed the fantastic, authentic food! The service is wonderful and the surroundings are comfy and eclectic. Hello there, We sincerely appreciate the feedback and rating. Great service is a priority to us, so we are working towards to making it as great as the food we serve. Thank you again and we hope to see you soon! Best, Taqueria Marina. Although a bit hard to find, we did make it to Marina and enjoyed the colourful decor. The service was great. The tacos ($7 ea.) were unique and very tasty, but not filling enough to stand on their own even when ordering 2 each. The interesting menu needs more variety and full plate dinner options with more appetizers and some side dishes, salads, rice, beans, desserts etc. to go with the yummy tacos. 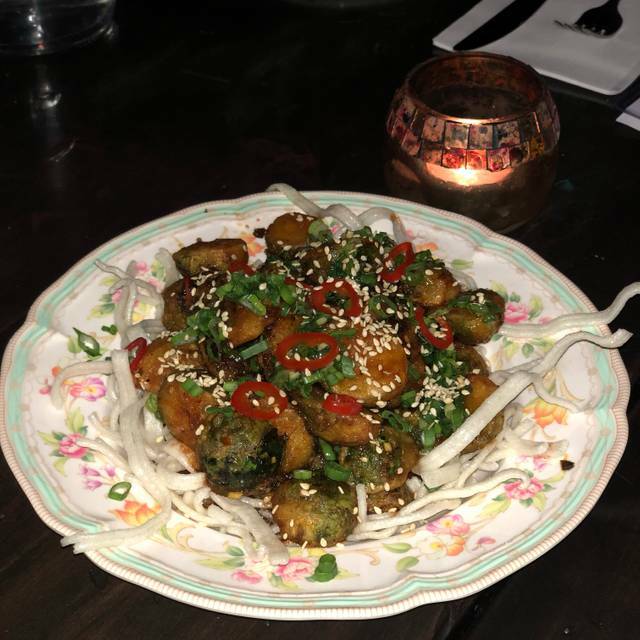 The asian-style brussel sprouts ($11) as an appetizer were really different, flavourful, but maybe a bit overpowering without maybe a flatbread or rice or something to balance it out. I still enjoyed them although my husband just ate them because he was really hungry. Including tax and tip, it came to about $50 but we were hungry shortly after. I did enjoy the experience and would go back again if the menu was updated. Amazing experience!! We were a party of 6 (4 adults, 2 children aged 10 and 15). We did not know much about this restaurant at all! Bailey our waitress was AMAZING! She helped all of us order based on what we might like and she was BANG ON! This is now my favourite restaurant and I cannot wait to go back and try more on this amazing menu!! Will also hope to have Bailey again! !